THIS burst of warm spring-line weather will see many of us getting down and dirty on the weekend. Me, I'll be preparing my garden beds for spring planting and one of the first crops I'll be planting will be a variety of lettuce. Peter Cundall has the good stuff on this delicious vegetable in the latest Weekly Times. This year I'll be planting mine from seed and will be trying some heirloom varieties from Diggers. 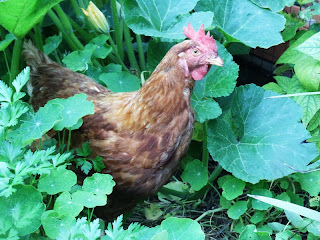 Now all I have to do is make the beds chook-proof so when the feather riot are free-ranging the seeds and plants will be safe.